….Incorporated into the grounds is the Whiteroom office and Japan's premier ski guiding and winter adventure provider..同建物内に、北海道全域、東北地方にかけてバックカントリースキーガイディングを提供しているWhiteroomのオフィスがあります。..Whiteroom办公室和日本首屈一指的滑雪指导和冬季冒险提供商融入了场地。…. ….Through Whiteroom, guests can book both lift-accessed backcountry mountain guiding for the resort areas of Niseko United, Moiwa, Rusutsu, Kiroro, Kokusai, Teine and Asari; along with backcountry touring in the Mt Yotei, Shiribetsu, Chisenupuri and Iwanupuri areas..フルノートにお泊まりの場合、ニセコユナイテッド、モイワ、ルスツ、キロロ、国際、手稲、朝里などのスキー場にて、リフトアクセスバックカントリーガイドを予約することができます。また羊蹄山、尻別岳、チセヌプリ、イワオヌプリなどの地域でのバックカントリーツアーも行なっています。..通过Whiteroom，客人可以预订二世谷联合度假胜地，Moiwa，Rusutsu，Kiroro，Kokusai，Teine, Asari等度假区的电梯访问的偏远山区导游。 以及在羊蹄山，Shiribetsu，Chisenupuri和Iwanupuri地区的偏远地区旅游…. ….Whiteroom also offers assistance with ski school bookings, transfers, lift passes as is Japan's leading Avalanche Course Training provider for NZ Avalanche accredited course..Whiteroomは、NZ Avalanche認定コースの日本有数のAvalancheコーストレーニングプロバイダーでもあります。スキースクール、空港送迎、リフトパスの予約等もお手伝いできます。..Whiteroom还提供滑雪学校预订，接送服务，电梯通行证以及日本领先的新西兰雪崩认证课程雪崩课程培训提供者。…. ….Join us as we take you through Hokkaido with our guides and guests as they hunt out that light dry JAPOW complete with a few sneak peaks of the Whiteroom operation! You'll get a great taste of what goes on behind the scenes as we plan to take you to some of our favourite powder zones..Whiteroomのツアービデオをご覧ください。ガイドやお客様が一緒にになってドライでライトなJAPOWを追いかけます。…...我们带着我们的导游和客人带领您穿过北海道，因为他们寻找干燥的JAPOW，以及Whiteroom操作的几个潜行峰！ 您将很好地了解幕后发生的事情，因为我们计划将您带到一些我们最喜欢的粉末区域…. 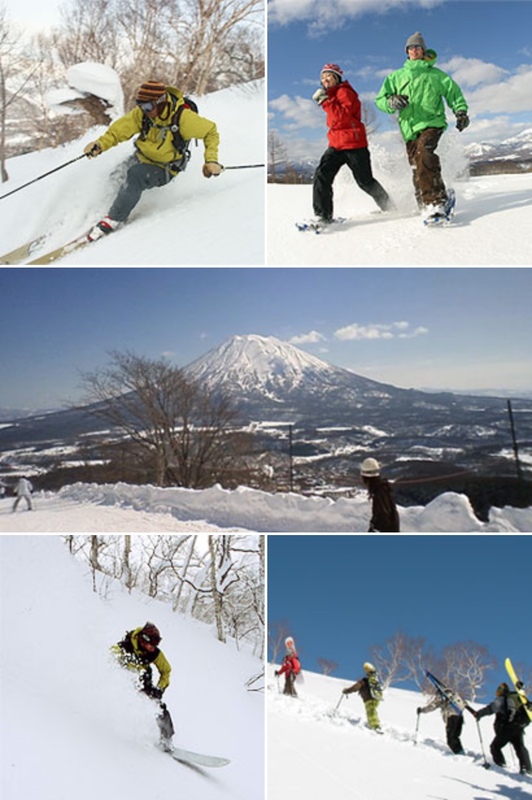 ….Enjoy the famous Niseko Powder Snow!! Skiing, snowboarding, guided backcountry tours, Cat skiing, snowshoeing, and more..有名なニセコパウダースノーをお楽しみください。 スキー、スノーボード、ガイド付きバックカントリーツアー、キャットスキー、スノーシューなど。..享受着名的二世谷粉雪！ 滑雪，滑雪板，带导游的野外旅行，猫滑雪，雪鞋行走等。…. ….Contact Whiteroom Tours to book your next Japan ski holiday!..ペンションフルノートでの宿泊と合わせて、Whiteroom Toursにお問い合わせください。..联系Whiteroom Tours预订您的下一个日本滑雪假期！…. ….Rafting, Fishing, Horse Back Riding, Balloon Riding, Golf, Tennis, Sea Kayaking, Trekking, Indoor Rock Climbing and more..ラフティング、釣り、乗馬、気球体験、ゴルフ、テニス、シーカヤック、トレッキング、インドアロッククライミングなど。..漂流，钓鱼，骑马，气球骑行，高尔夫，网球，海上皮划艇，徒步旅行，室内攀岩等等。…. ….We also have variety of Summer Camp Programs for kids..子どもたちのためのサマーキャンププログラムもあります。..我们还为孩子们提供各种夏令营活动。….